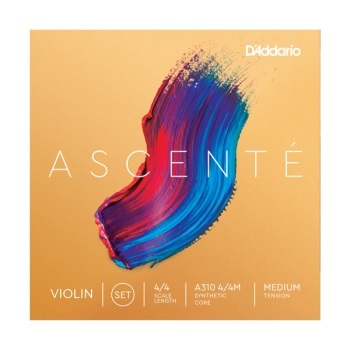 Ascente violin strings have been specifically designed to help players advance their craft with elegance and consistency. With a wider tonal range, excellent pitch stability and longevity, and superior durability, this synthetic core string delivers a more sophisticated palette that elevates their playing to the next level. Ascenté is intended for musicians of all levels and ages, and is available in full and fractional sizes.